Went to play some Rockband over at a friends house...originally this was suppose to be a quick soft and simple look....apparently I had to do it Rockstar style and be dramatic lol. Great look! 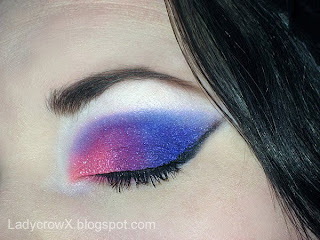 Love the vivid cool shades together like this. 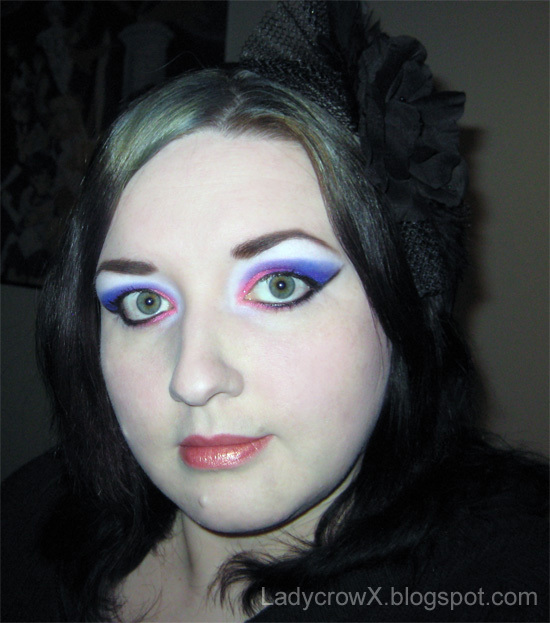 teehee, I did my makeup to go play mario cart on the game cube. It NEEDED DRAMATICS! :) Pretty combo! Thanks guys! :) I was in such a hurry that night and I kept smudging the winged liner by accident lol. The bf kept rushing me to hurry because as he always says when I'm trying to perfect my liner "I'm starving and you're taking forever!" he was startling me right when I got it almost perfect lol. So pretty! I love those colors together!